Heat the oven (with the oven rack in middle) to 425°F. 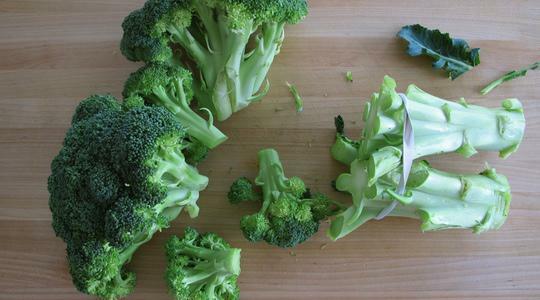 Cut the large stalk from the broccoli, leaving 2 to 3 inches of stem attached to the flower. Then cut into florets. 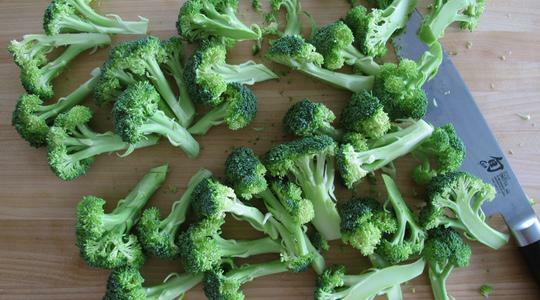 Place in a strainer and pass under cool running water to wash.
Place the broccoli on a rimmed sheet pan and drizzle with the oil. 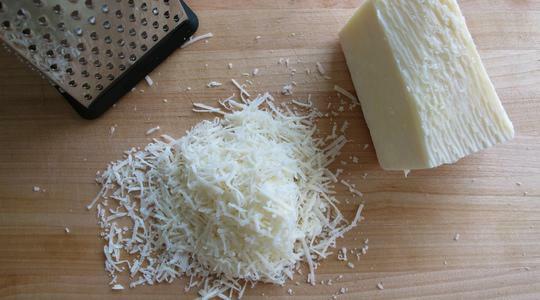 Sprinkle with the salt, red pepper, and black pepper (about 6 turns on pepper mill). Toss with your hands then spread into a single layer. 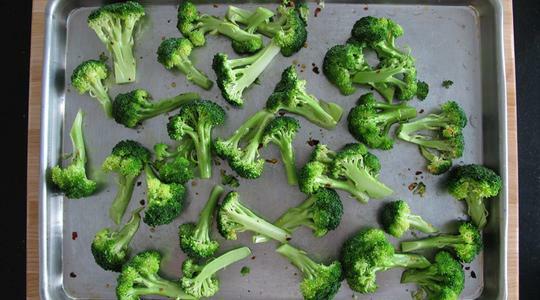 Grate the cheese and sprinkle over the broccoli. 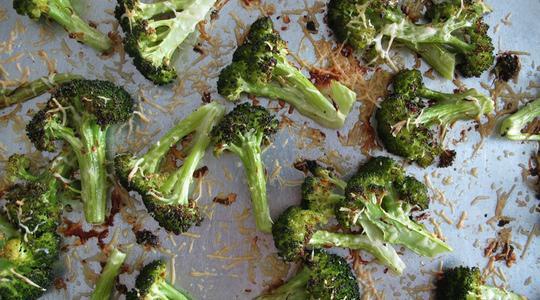 Roast until the broccoli is charred and tender and the cheese is golden brown, about 15 minutes. Squeeze the lemon over the top.